Are you in need of debt help? Dan Gamez is a San Diego debt relief attorney who practices law throughout the state of California and nationwide. The Gamez Law Firm is in the business of saving our clients money by offering debt relief services ranging from credit card debt help to student loan debt help and more. Find out how to get out of debt without bankruptcy. Get a free consultation with a debt lawyer and take the first step in living a debt free life. Get out of credit card debt and avoid bankruptcy with debt settlement. 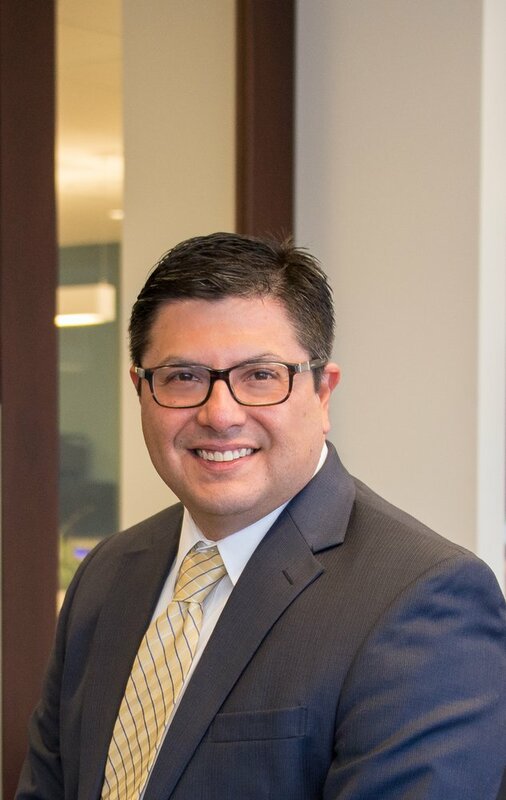 Experienced San Diego debt relief attorney Daniel Gamez has over 16 years of experience practicing law. After over 6 years of representing banks and lenders on creditor side, Daniel returned to his passion of helping people in distressed situations by opening his debt relief services law firm. A fierce advocate for consumers who need debt help, Daniel strives to give his clients a life free of debt. Unlike many of the “debt relief companies” that are often in the news for scamming consumers, we are a law firm. Attorneys are held to legal and ethical standards that they must follow. Additionally, if you are sued, Dan can represent you. Dan will meet with you free of charge to go over your debt problems and give you debt relief options unique for your specific situation. You will receive discreet, confidential debt relief help. We’re a small law firm and treat each client with respect. You will not be passed off to an attorney in another state. We have an investment in our reputation in the community and we’ll deliver the highest level of customer service. You will speak directly with Dan about your debt problems. Having experienced student loan debt struggles for law school, Dan understands the burden of debt and strives to help consumers get out of it. Oftentimes, people assume going to an attorney will be expensive, but the opposite is true when our lawyer saves you money. We offer short to long-term payment plans based on what you can afford. Dan is usually able to get his clients out of debt for 50-60 cents on the dollar and that includes attorney fees. Just take a look at Dan’s client debt relief success stories to see how they have saved money and are now experiencing financial freedom. We offer a FREE debt consultation. To learn about your debt relief options for your specific debt problems, get in touch with us by using our Contact Form, call us at 858-217-5051 or email daniel@gamezlawfirm.com we’ll get back ASAP! FREE initial consultation offered! Download our FREE eBook on Credit Card Debt Settlement to start your path to living a debt free life! Download our FREE eBook on Student Loan Debt Settlement to start your path to living a debt free life! Download our FREE eBook on Credit Scores and Credit Repair to start your path to financial freedom! Read from the Gamez Law Firm’s debt relief Blog with our extensive collection of blog posts covering debt issues of all kinds from debt settlement to bankruptcy, credit repair, wage garnishment, debt relief tips and more. Find help with debt problems and ways to live a financially successful life! We value our clients and appreciate your comments. Click to leave a review on Yelp or view testimonials. Read our debt relief success stories about people just like you who are now living a life free of debt. View debt relief success stories from the clients of the Gamez Law Firm! Book debt relief attorney Daniel Gamez for a FREE speaking engagement. Daniel offers speaking engagements covering a wide range of debt relief topics from credit card and student loan debt to bankruptcy, credit repair, short sales and more. Free Consultation To Learn Your Debt Relief Options!